Can You Maintain A Good Marriage? When I speak to young married couples on the verge of divorce, (the average age of a divorcing couple is 30) it is plain to see that they just don’t know how to maintain a good marriage. Why? First, they may not have seen a good marriage before. 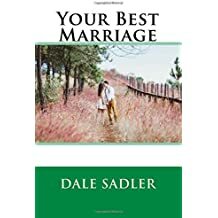 Having possibly come from a dysfunctional or divorced home themselves, they do not have a history with the behaviors of a good husband or good wife. So, the default action is also the second reason why couples cannot maintain a good marriage; selfishness. 1 Corinthians 13: says that love, “does not seek its own.” Stop worrying about yourself and begin worrying about how you can make that other person happy. Two people who look out for one another is much better than two people looking out for themselves. When we think only of ourselves (not of loving the other person) we grow apart. “That other person” in your house is causing you to not get that fishing boat because she’s a nag, or live in that big house because he doesn’t make enough money. “I deserve it” you tell yourself and by your own lack of vision for what a family should be, you wreck possibly dozens of lives because a divorce involves much more than just two people. While you might not be labeled self-centered, maybe you’re doing everything else EXCEPT working on your marriage. There are so many distractions in today’s world that we end up doing everything else but eating dinner together, talking over coffee, and cuddling in bed; all things that bring you closer as a couple. When person needs aren’t fulfilled at home, people begin looking elsewhere. I see it happen a lot. What does my spouse like to have for breakfast? What is his/her favorite dinner spot? If I could do one thing to make him/her happy, what would it be? If you struggle with these questions, you’ve got some work to do. Marriage is like bowling. The goal (like the pins) is far off, but if you set your throw up just right, you’ll score BIG.